Is Hibiscus a fourth declension noun? No. The Yellow Hibiscus is the State flower of Hawaii so I will start with a pair of related hibiscuses that were just outside our apartment. Article here explains the tradition behind the flower presentations at the Olympic Medal Ceremonies. (supplied by Just Beginnings Flowers). I have a host of possible posts since Hawaii - enough for a few years! Our tulip trees today in Victoria are out in full bloom also. I will scarcely have a moment to spare if I take learning botany seriously. Don't miss this one from Dr. Platypus. 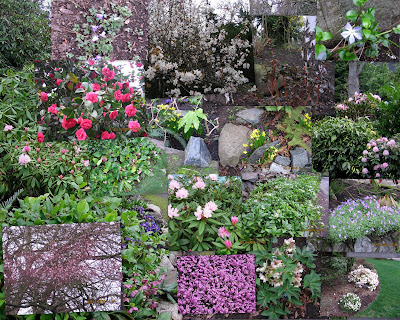 Well I did another collage of various blooms around the neighborhood. It is far too early for Rhodos but many are out. Some deep red camelia also - or I think that's what they are. A neighbor pointed out her Plum and Cherry blossoms - seems to me difficult to distinguish. There are lots of Christmas roses around - though it is not Christmas and they are not roses! Did Adam name all the flowers? There are such a host of them. So many indeed around the inside of the house that I ignore. I haven't a clue what they are called. Time to learn eh? All this learning is to help the little grey cells also. Some cut blossoming tree - plum is the earliest here I think, and some dried flowers and grasses in the background. The carpet is on the wall In a corner of the dining room is a Phalaenopsis orchid we succeeded in getting to bloom a second year. There's another plant below it that grows inside all year long. We are off to Hawaii on Tuesday so perhaps I will bring back some exotic pictures. Try this - can I name the flowers in this somewhat gray picture? I was a flower child, but not a knowledgable one. Primula - about 3 dozen along the driveway, daffodils not yet in bloom, snowdrops we will never get rid of, heather by the gate and a rododendron, an enemy left the ivy, and there are crocuses from a nearby lane, lots of bluebells, tulips not yet in flower, narcissus, and forsythia. I will be more specific next time. 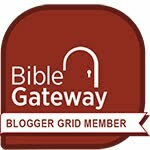 This blog will take a new direction, but I keep all its dangling roots. I intend to start a blog based on flowers after the poem of Christopher Smart, Jubilate Agno. The above is from Britten's setting and it is a solo I have sung many times. The whole poem will be found here.